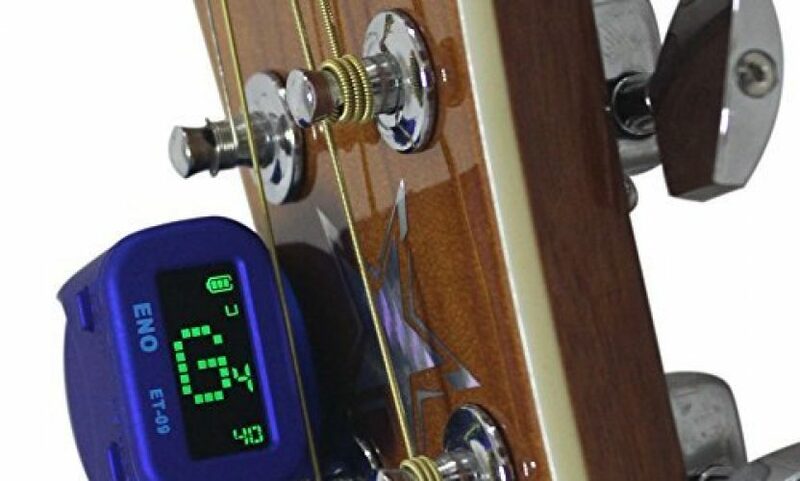 The Enco ET-09 Clip on Guitar Tuner is a tiny, clip on headstock tuner with vibration detection and fast response for guitar, bass, and ukulele instruments. The built-in LCD display is easy-to-understand, even if, like me, you don’t know much of anything about how to properly tune an instrument on your own. Basically, you just look at the frequency lines on the LCD display, with white showing out-of-tune and bright green showing in-tune, along with the detected note. Easy. In the package you get the tuner itself, an instruction sheet, three picks (.58mm, .71mm, and .81mm), and a standard microUSB pig-tail cable, which is used to charge the internal 3.7 volt battery. If the tuner goes unused for three minutes, it automatically goes into power saving mode and turns itself off. For testing purposes, I tried this on an electric Epiphone Jr. guitar, although I also own a ukulele and one other, cheaper electric guitar. 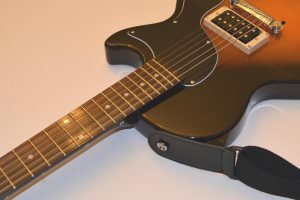 The ET-09 clipped onto my guitar’s headstock tuner strongly and the LCD screen was easily visible, which is how it should remain under a variety of viewing conditions. The ET-09‘s internal vibration sensor was able to pick up my guitar’s tones without issue, which allowed me to make the necessary adjustments. There is also a transpose feature for use with a capo, but I didn’t try that particular option out. If you’re looking for an easy-to-use, compact tuner, the inexpensive ET-09 definitely delivers. If it’s easy enough for me to figure out with my poor musical knowledge and capabilities, you know it has to be well designed. 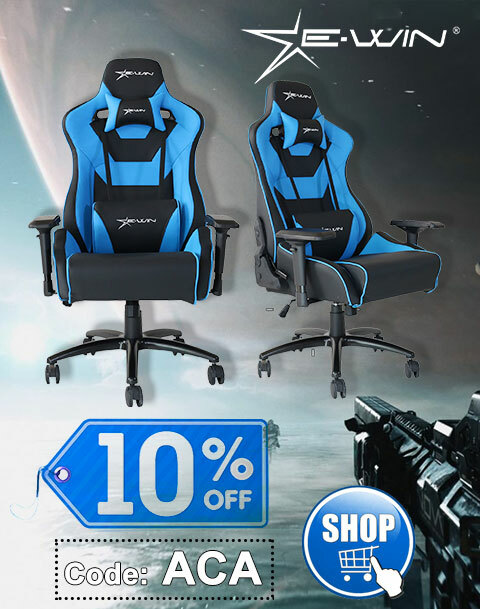 While I reviewed the red, there’s also blue and black colors available. It’s attractively designed and well-built, and I can see it definitely standing up to the rigors of the road. Thanks to Quickly Trade for the review unit.